Looking back, 991 is such a design wonder. 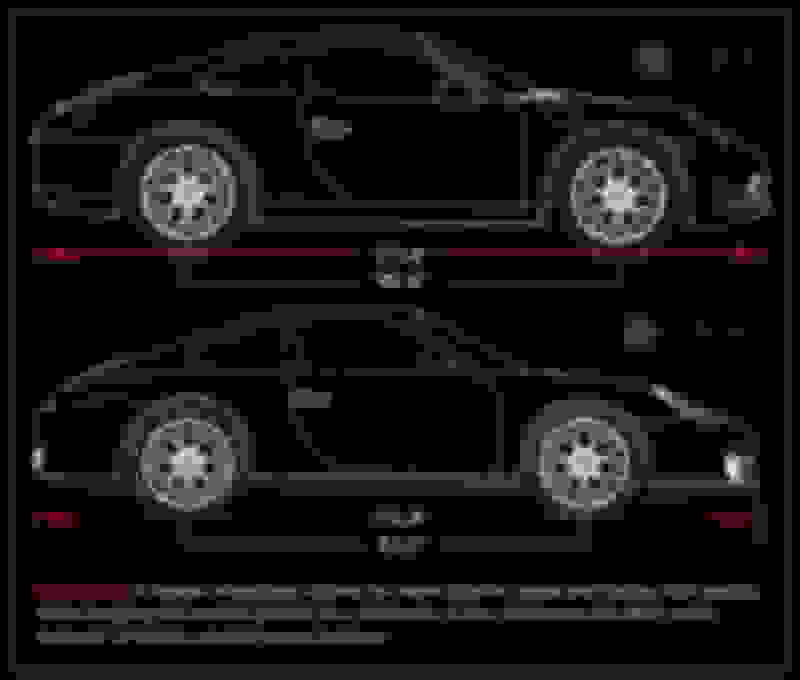 Not that bigger than 997 but they increased wheelbase to make it look have more sportscar stance than <997 cars' beetle stance. 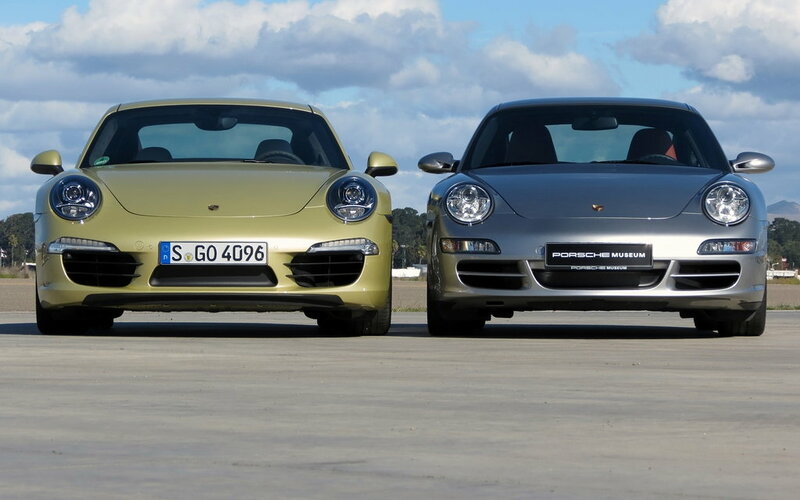 What is making it so difficult this time for Porsche is that unlike the 997 which was one of the best platform redesigns in history ( the 996 platform was redesigned into the 997), the 992 is a sad attempt to make an already beautiful car better. Due to the fact that this wasn't a completely new platform ( ie 997 to 991) they unfortunately were limited but I'm confident they could have done much better. Instead, they chopped up the design with needless change for the sake of change and infused the car inside and out with this terrible fleet design language and superficial tech gimmicks that have watered down the car. I have no interest in hearing about how " this hatred happens with every redesign" because it's simply not true. Yes, some redesigns are met with a certain degree of skepticism that later turned into praise but this time it's different , I have never disagreed more with a new 911 than I have with this 992. In a side by side comparo to the 991 I am having an extremely difficult time seeing where this redesign brings improvement. The worst part is once this 992 platform reaches it's end I can only imagine what VW platform sharing electric / hybrid disaster awaits in the 99.......3? The BMW N54 was using Piezoinjectors in 2006. Admittedly they were horrifically unreliable at first. BMW actually switched to mechanical high pressure injectors in the N55 engine to reduce the massive reliability issues they were having. Porsche is going from the more reliable mechanical injectors to the piezo injectors for some useless fractional gain. Side by side, 991 has cleaner and better design overall. 992 looks way to busy in exhaust area. Number plate looks very low on the 992.
i wonder if, in many markets, the law will require it to be higher up on the rear of the car. Nail on the head. This is the first 911 developed entirely under the VW bean counters. I use to think the 997 was the best looking 911, but like you said, I can't stop looking at my 991.1. I even go out at lunch to stare at it from different angles, trying to find that one angle that isn't perfect, but every angle is perfect. 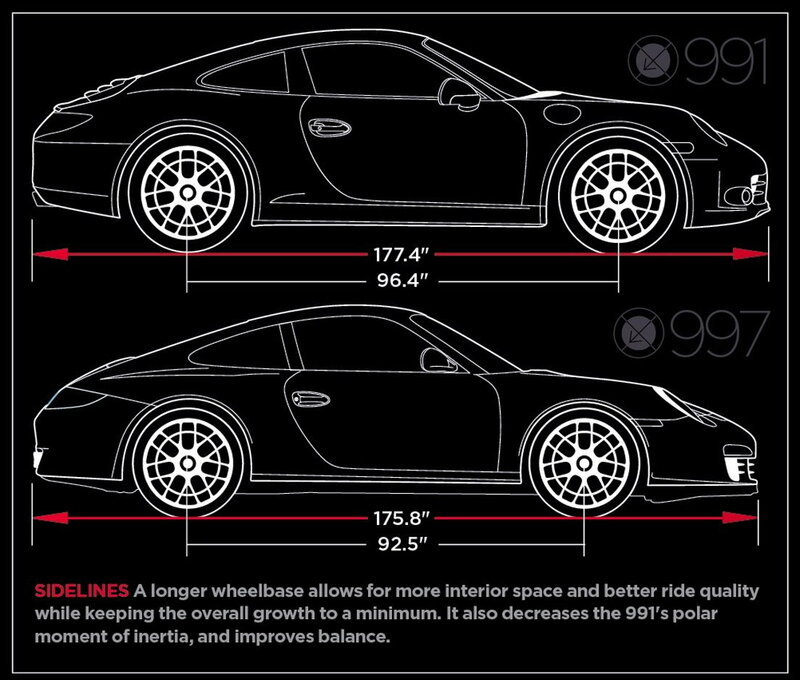 The most balanced lines of any 911 IMO. I don't think I will ever let mine go. Especially with it's NA F6. Cars are dead. Sad but true. The electric revolution and Green initiative has ruined the automotive industry. It's all downhill from here. Have you sat in it? Driven it? If you dislike the car so much, why keep coming back to this forum to check out a car you hate? Nothing is going to change your mind about the car, that much is clear. To counter your point about "hatred of the new redesign" not being true - to the contrary, others have posted threads for other redesigns and it's all the same stuff. It's a group of current gen owners constantly in a thread talking about how much they "hate" the new car (of which they've never sat in, haven't seen in-person and haven't driven). Yeah, I've been kinda hard on the new one as well. I guess someone should start a 992 train wreck venting thread to voice those opinions. There are alot of guys who have interest in this car who stay silent and just look for updates here. They just aren't the vocal group. I think we should all try and keep it a bit more open minded until we know more and see it in person and get some seat time. 5. Rear end looks like Panny, new Macan etc. Ok the last one's subjective but I got carried away. b) the vast majority of the public will have trouble telling the two cars apart. For those of us who are currently in the process of a build and can decide between one of the last builds of a 991 or one of the first builds of a 992, the decision hasn't been nearly as obvious as some of the current owners would make it out to be. If I was a prospective buyer contemplating a new 991.2 or 992, just from a resale perspective I'd go pre-owned 991.2 or wait for 992. No way I'd buy a new 991.2 now unless you really need the car now. You never want to buy right before a new generation change. Buy yourself 7 years and get in at the beginning of a new generation. Pre-owned is a different story and many times you're getting a great deal.